Psychologists have long been interested in exactly why and when we help other people. There has also been a tremendous amount of interest in the reasons why we sometimes don't help others. The bystander effect is a social phenomenon that occurs when people fail to help those in need due to the presence of other people. In many cases, people feel that since there are other people around, surely someone else will leap into action. Sometimes just seeing other people doing something kind or helpful makes us more willing to help others. Imagine that you are walking into a large department store. At the entrance is a bell ringer asking for donations to a charitable organization. You notice that many of the people who walk by are stopping to drop their change into the donation bucket. As a result, you might feel more inspired to stop and donate your own change. Researchers have found that when we observe other people engaging in prosocial behaviors, such as donating blood, we are more likely to do the same. One of the key reasons people often fail to take action when help is needed is that they do not notice what is happening until it is too late. Ambiguous situations can also make it difficult to determine if help is truly needed. In one famous experiment, participants were less likely to respond when smoke began to fill a room when the other people in the room also failed to respond. Since no one else was taking action, people assumed that there must not be an emergency. Rather than relying purely on the responses of those around you, staying alert and attuned to the situation can help you best decide how to react. When faced with an emergency situation, knowing what to do greatly increases the likelihood that a person will take action. How can you apply this to your own life? 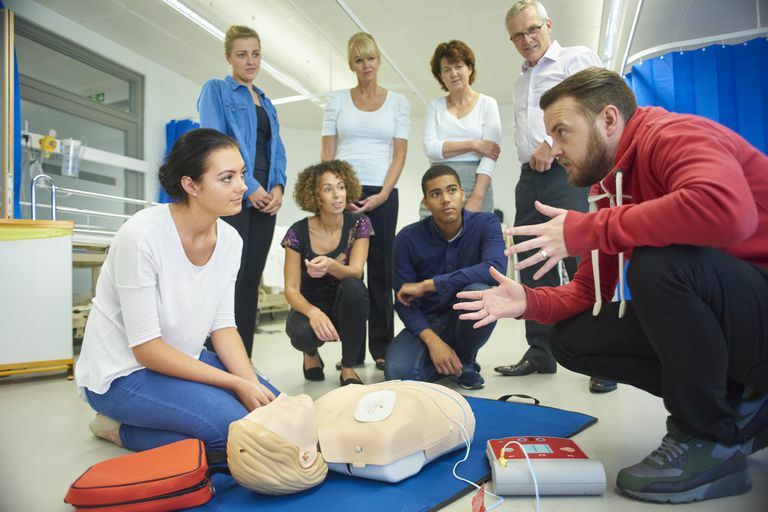 While you certainly cannot be prepared for every possible event that might transpire, taking first aid classes and receiving CPR training could help you feel more competent and prepared to deal with potential emergencies. Researchers have found that feelings of guilt can often spur on helping behaviors. So-called "survivor guilt" is just one example. Following the 9/11 terrorist attacks, some people who had survived the event felt driven to help others in the aftermath. Researchers have long known that we are more likely to help people that we know personally. In an emergency situation, people in trouble can help cultivate a more personalized response even in strangers by taking a few important steps. Simple behaviors such as making direct eye contact and engaging in small talk can increase the likelihood that a person will come to your aid. So if you are in trouble, you might be better off singling out an individual from the crowd, making eye contact, and directly asking for assistance than making a general plea to the group. People are also more likely to help others if they think that the person truly deserves it. In one classic study, participants were more likely to give money to a stranger if they believed that the individual's wallet had been stolen rather than that the person had simply spent all his money. This might explain why some people are more willing to give money to the homeless while others are not. Those who believe that homeless people are in their situation due to laziness or unwillingness to work are less likely to give money while those who believe that these individuals are genuinely deserving of help are more likely to provide assistance. Researchers have also found that feeling good about ourselves can contribute to prosocial behaviors. People who feel happy or successful are more likely to lend assistance, and even relatively small events can trigger such feelings. Hearing your favorite song on the radio, enjoying a warm summer day, or successfully completing an important task at work can leave you feeling joyful and competent and more likely to help out another person in need. This is often referred to as the "feel good, do good" effect. Latane, B., & Darley, J. (1970). The unresponsive bystander: Why doesn't he help? New York: Appleton-Century-Crofts. Sarason, I. G., Sarason, B. R., Pierce, G. R., Shearin, E. N., & Sayers, M. H. (1991). A social learning approach to increasing blood donations. Journal of Applied Social Psychology, 21, 896-918. Solomon, H., Solomon, L. Z., Arnon, M. M. Maur, B. J., Reda, R. M., & Roth, E. O. (1981). Anonymity and helping. Journal of Social Psychology, 113, 37-43.